When I started writing for the day I read an article which might have been read by you too that valuation of rupee will touch to 63.Well I don’t know what type of models they have taken for calculation but what we are forgetting is the valuation of the rupee has already taken toll on the corporate earnings for 2012-13 and also on the governments revenues. I did not use any such models to predict the range of rupee in my article written on 26th April 2012 that rupee will range between 54 to 57 levels. I used simple macro factors to put the range. Rupee will climb backed by shift of foreign treasuries from Indian economy as their is an requirment of capital in other economies. In this article I did not gave an asset allocation model neither I suggested any sector for investment. I gave the economic picture for the Fy2012-13 and the financial performance that will come in the form of quarter results for the next 2 quarters of Fy 2012-13. Rupee will cool off may be in the next month but the affects of the depreciation shock will be required to be absorbed by the Indian economic growth. It means that now our focus is on controlling the rupee free fall but the aftershocks will be more painful for the economy in coming months. • Import oriented sectors will have to bite very hard due to rising cost of import. Well oil marketing companies are the major absorbers of the damage of rupee depreciation I find the affects to spread like an malignant cancer across all sectors and all economic corners of India. Nearby 50% of rupee depreciation between May 2011 and May 20112 has added additional rupee cost of imports to the nation by Rs. 960 billion despite decline in the global prices of two major imported products crude oil and thermal coal. When international crude prices are hovering below the $100 barrel mark India still have to spend its import bill of crude valuation coming around $125 barrell. We failed to get any advantage of low valuation of the international crude prices. • For more than a year we are busy fighting for the inflation to come down but now the same inflation is jumping back into the playground. With valuation of rupee around 55,FMCG companies are just planning to pass of the extra cost of import of raw materials and other stuffs to the consumers. Increase in grocery bills are going to take an huge toll on consumption for FMCG segment. FMCG products such as soaps, detergents, deodorants and shampoos, of which crude oil is an input, are likely to become more expensive due to increase in import bill of crude. • Cost of import of iron ore and other raw materials for production of steels and iron is spooking up the price of metals resulting higher cost of projects. It has been found that project cost are just taking an 100% jump backed by rupee and delay cost (idle cost) in project execution. Lay off and close down of business units are or on the anvil. • Poor performance of the market and weak sentiments across the board is also taking a hard toll over the financial industry. Brokerage income has become negligible, position are better not taken and even in very small quantity. Many brokerage houses are changing their business models and even business too. Payments of salaries are now a nightmare for most of the brokerage houses. Many brokerage houses have either scaled back or shut down their equity trading divisions. In fact I find that many brokerage houses are available at cheap valuation to those who wants to enter into this financial industry. • Those who loved eating fried items will have to take accept less and more savings of the doctors fess for treatment of belly fat. Rising rupee has increased the cost of vegetable oil. For instance, in November-December 2011, the price of refined soya oil shot up by Rs 75 per 10 kg from Rs 651 to Rs 724 and now its scaling to Rs.900 mark. • Foreign education has become costly that many students are making an bee line in front of domestic colleges, shedding of their dreams of overseas degrees. For example with the rupee weakening, the burden has increased. The rent ($378) of a room he shares with friends was Rs 17,000 (at Rs 45/$) in mid-August 2011 when he went. Now, it is Rs 20412 (Rs 54./$). A meal ($6) which cost him Rs 270 then now costs Rs 324. • The falling rupee is bad news for itinerant Indians and vacationers to a foreign country. Air fares are going up due to an increase in fuel surcharge. The stay will be costlier by at least 37% to 8%. Also, shopping can become expensive by 7%. • Delay in project execution and eliminating projects results to less revenue generation for the government through customs and excise duties. Indirect tax collection will be less compared to targeted levels. Weak consumption will also reduce manufacturing activities resulting less indirect tax collection for the government. The rupee depreciation has erased the financial performance of the Indian companies for the next 1 more quarter if taken on a conservative note. • Power thermal power plants are expected to face some strain on account of higher import costs of ferrous metals and petroleum products, which in turn are expected to remain firm in the near future. Power equipments which are mostly imported will find an substantial jump in its project costs resulting more slow addition of works for the industry. • Fertilizers industry imports about 50% of its raw material requirement. Potassium chloride is one of the major import items and a decline is already being observed in the same. This trend is likely to continue in the coming months. Well I am not going to deject my reader’s heart with all negativism. I have couple of positive industry but their profitability will be capped to their end and will not pass to the consumers. • Pharma industry is going to benefit from the rupee depreciation for Fy 2012-13 since their products are mostly exported. More over I find the sector to be under mixed bag due to import of its raw materials which all affect the financial performance of the this industry. • Gems and jewellery sector is also one of the industry which is going to gain from export of its business. • Textiles industry is going to benefit with easing of cotton and cotton yarn prices and improved export realizations, the textile industry is expected to gain in the current forex environment. Mark-to-market loses on existing hedged positions and suitability of new hedging contracts would be crucial determinants of overall profitability.The below image depicits the forex expenditure respective to various industry. But overall the performance of the Indian economy and its industries are going to be negative for the next 1 more quarter in an conservative node. Recovery from the down slide will be time consuming and will be severely dependent on global and macro factors. I find RBI will have minimum space of easing interest rates since inflation will be back due to rising cost of input. Going through the above affects of rupee depreciation I find the financial performance of the companies will be weak and sarcastic. India will face more difficulty in controlling and reducing the fiscal gap. At the present level of fiscal deficit Indian government will add another Rs.38000cr as subsidy to OMC. Many brokerage houses will prompt its investors by picking stocks at cheap valuation. Well valuation will be very cheap but investments should be made predominantly in large caps to avoid further massive losses from down side compared to investment in mid cap or small cap. One should not get carried away by value pick tag line. When the new financial year come up part of the Indian corporate is full energized to restructure their loan portfolio. Yes this is the prime time for the Indian corporate to go for restructuring their huge outstanding loan books and increasing the debt of the bank which is the tax earning money of the government. Before I open up the chamber of corporate rejigment activities of loan restructuring I would like to accentuate the historic details of the Corporate Debt Restructuring Cell (CDR) segment of RBI. This was formed in 2001 to help the Indian companies to reduce the burden of the debts on the company by decreasing the rates paid and increasing the time the company has to pay the obligation back. Well how much debt it was able to reduce will be clear from the historic data of CDR of RBI.  In between 2001 and 2005, the CDR Cell restructured 138 cases with an aggregate debt of over Rs 75,000 crore.  Of these, 29 cases totaling Rs 5,018 crores were rejected and 173 cases with a total debt of Rs 84,510 crores were implemented under the program.  While in the year 2008-09 alone the CDR Cell in India received proposals from 34 companies,3 the number of cases received for restructuring tripled in the year 2009-10.  These proposals came from all quarters of the industry. Banks have taken a huge re-balance on its books due to rising debt restricting. In the year of 2011-12 financial year we find Corporate Debt Restructuring Cell (CDR) in fiscal year 2012 was the highest since the forum was launched in 2001, according to data obtained from a CDR source. The number of CDR cases jumped to 84 during the year, compared with 49 a year earlier. Indian banks sought to restructure USD 12 billion in corporate loans in the fiscal year that ended in March, up 156% from a year earlier. Since the inception of the CDR cell in 2001, close to Rs 1.50 lakh crore involving 292 companies have been restructured.Reflecting the stress in the economy, net non-performing assets (NPAs) of banks at the aggregate level rose by 53.5% during the quarter ended March 2012, from about Rs 39,200 crore at the end of March 2011 to slightly over Rs 60,100 crore at the end of March 2012. Further it has been reaffirmed by CRISIL report that Restructured Loan portfolio of banks is expected to touch Rs 2 trillion by March 2013. Bank's gross NPAs are set to increase to 3.2% of advances by March 2013, from 2.9% as at December 2011. This also raises the questions on the ratings of these companies who are engaged in debt restructuring. The large quantum of restructuring reflects the prevailing stress on corporate India's credit quality because of lower profitability, weak demand, and tight liquidity. I find we are pretty much travelling in the same Path as western economies financial system travelled. Its not the question that we are pretty much well governed and well capitalized. Every penny lost from the banking books is an loss to the opportunity of growth of Indian companies. This reflects the corporate management styles of financial management being adopted and followed by the Indian industries. One of the prominent avenues being adopted by the companies to restructure their debt is to provide quasi-securities like convertible preference shares that have a long tenure, low returns and high provisioning. Later on these are converted into equity. Now if the equity market performance is not well enough to make the conversion profitable then banks will be asked to write-off the debt hence increasing the NPA. In a letter to the corporate debt restructuring (CDR) cell , a forum where corporates and banks come together to restructure bad loans, late last month, the finance ministry has specifically warned banks against taking these on their books. Government has been forced to interfere since RBI failed to manage the same. Bankers has also admitted that lending institutions have suffered losses in the past one year for agreeing to convert distressed loans into cumulative convertible preference shares (CCPS) or other quasi-equity securities. Recently, 25% of Rs 16,200-crore loans to telecom tower operator GTL were converted into low yielding compulsorily convertible debentures (CCD) while 20% of Rs2,000-crore loans to 3i Infotech were converted into CCPS. On account of this conversion, banks had to make substantial provisioning (or setting aside funds out of profits to cushion the loss of income). What has alarmed the ministry is the surge in the number of such cases. The ministry has also advised banks that loans should not be restructured to bail out companies with incompetent management. Well governance and issues related to management needs to be placed on the table. As a global business strategic analyst I find bankers should be given space as an Independent Director of the company to look into the management process of the business. If the board finds things are not well enough alarm bell should rang for danger. INDUSTRIES KEEPS ON ADDING FEATHERS. Well the above solution is much of debate and less to implement the danger for the Indian banks are crouching forward. Companies are struggling to compile with the debt terms and at such time the government become stringent. Corporate whose managements have “diverted” funds or are perceived as “incompetent” will have a hard time persuading banks to rejig debt and throw in a lifeline. Delay and lack of policy reforms derails the growth opportunities of Indian companies who were promised by the Government about a golden decade of growth of economy at 8%.This debt structuring is the leverage death being gifted by the government. I doubt that even if the policies come up will the Indian economy will be able to steer out of the death phase. The new feather in the cap is The Kingfisher Airlines, whose NPA tolled over Rs 15,000 crore. Well how banks will come over the rising debt of NPA is a matter of hard thinking and brain storming at the same time management polices needs a relook. 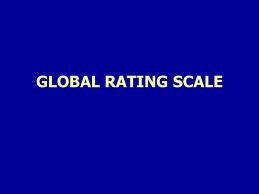 My readers don’t trust the ratings of the global rating agencies like S&P, Fitch, Moody and many others. The reason behind such an act is that the numbers are cooked and their rating has insignificant affect on the Indian economic scenario. Well the global ratings are not to be taken lightly after the debacle of 2012. They have become pretty much serious in their offerings. But this time the very Indian economy is cooking the story of its next rating to positive covering up the real story of its economic crisis. Indian government has approached for higher credit ratings from international rating agency Fitch. Senior Finance Ministry officials held discussions with senior officials from the rating agency to upgrade the ratings from Fitch. Fitch had last rated India in 2010, giving India's foreign and local currency a ‘BBB-/stable' rating. After the recent rating of S&P Indian politicians are no longer raising the voice that Indian economy is quite comfortable placed in terms of investments and growth in the global map. In order to get an healthy rating from Fitch government officials of the finance department has pointed out FDI inflows and the returns in the market. The Government official said that with FDI inflow at its highest and FIIs pumping money into Indian markets. The biggest joker has been the Finance Minster of India who always denied diplomatically about the problems of the Indian economic growth and acclaimed that Indian economy is well positioned to achieve an growth of 7%. He even acclaimed that the rating given by S&P will have no impact on the investment scenario of Indian economy and the same should be taken as an insignificant affect on the economy. Today the same officials and minister is acclaiming that the S&P's negative rating outlook on India's deficit, debt burden and economic health may have "perceptional impact" on foreign investors. Now my question to readers is why we are cooking the numbers of rating agencies when it has negligible or insignificant affect and secondly why we are playing with ourselves rather than accepting the truth that we are slowing down. I find many points jumping from the mouth of the readers giving favorable opines regarding the justification of the government manipulation of the ratings. Well before I finish I would like to accentuate the same thoughts of my readers for the final opine. Live example of Indian economic Growth. Indian textile has been once rated as the Textile industry in India traditionally, after agriculture, the only industry that has generated huge employment for both skilled and unskilled labor in textiles. The textile industry continues to be the second largest employment generating sector in India. The same industry is reeling with the blessings of the present government policies which has been simply destroyed. In the last two years, 31,901 workers lost their jobs with the closure of 80 cotton/man-made fibre textile mills across the country. This is not the end. The closed units were not all small scale industries alone many large ones are the biggest share holders. Every state we find textile units being closed up and the government and its Finance Minister is aggressively demanding the India is well placed for an economic growth of 7%. State Break Up of Closed Units.  Among the 80 closed mills, the highest were in Maharashtra, where 20 mills shut shop.  Of these five are in Mumbai – Bombay Dyeing & Manufacturing Company Ltd, Morarjee Goculdas Spinning & Weaving, New Great Eastern Spinning & Weaving, Ruby Mills and Prakash Cotton.  Of the 12 closures in Tamil Nadu, five were in Coimbatore. These are Dharmaveera Textiles, Sri Ramakrishna Mills, Kothari Ind, Maruthi Textiles, Central Prison Spinning & Weaving.  In Gujarat, of the 10 mills that closed down, five were in Ahmedabad and include Mafatlal Industries, Maneklal Harilal, Neptune Spin-Fab, Rajnagar Spinnning & Weaving and Asoka Cotyson (a division of Arvind Mills).  Seven mills each shut shop in Uttar Pradesh and Punjab, according to the Textile Ministry.  As on March 31, 2012, there were 1,957 cotton/man-made textiles mills, employing 8.58 lakh workers. Textile sector was used to be called as one of the defensive sector for doing investments as cloth requirements will exits even in downside economy. A finance official of the government has tried to allure Fitch upcoming ratings by acclaiming the returns of the equity market and the flow of FII funds into the streets. The officials has forgotten and are quite illiterate to acclaim these type of facts and figures when they don’t understand the pains of the Indian companies who are battling with the rising cost of debt due to the governments negligence towards depreciating rupee. Today the government is giving examples for FIIs investments and growth of the return from stock market but they don’t understand that return is just going to diminish with the peroformance of the upcoming quarter results in Fy2012-13. 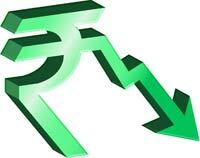 The rupee has declined from 44.65 per dollar on March 31, 2011, to below 54 now. The depreciating rupee is exacting a heavy toll on Indian companies. A rough calculation shows that their external debt has swollen by at least Rs 80,000 crore between March last year and now. RBI data show that Indian companies had external commercial borrowings worth $88.8 billion or Rs 3.96 lakh crore by end-March 2011 on their books. These have now swelled to Rs 4.76 lakh crore in rupee terms. That is a 19 per cent expansion. The above number is for the principal alone. The interest cost on servicing the loans is likely to have gone up too due to the higher dollar. Hence one can easily understand that its not an easy cup of tea to fool the FII’s and global rating agency to rate Indian economy into an stable ground for investments. My question to my readers particularly who are still find it difficult to accept that Indian economy is well placed and the global rating agencies are doing filthy ratings does you all find Indian economic growth is at 7% and rating agencies are doing conspiracy at the back of India. So once the cooked ratings come up the speculators of the market will jump up to drag investments and search for new fools on the streets. The upcoming Fitch ratings will give an boost up to the rattled stock market and will also let the government to sleep for more time. From today onwards we will not pass the complete blame on rating agencies. India is now cooking’s its growth ratings. Gold in an integral part of Indian culture. The importance of gold can be understood in the saying all glitters are not gold. It also can be noted from the way events or achievements are named like golden anniversaries, golden jubilee, gold medals, gold credit card etc. In India people buy gold anytime and not only during special occasions like weddings, festivals or special events. Gold is also offered to Indian deities. The Indian Hindu calendar even has auspicious days to buy gold like Dhanteras and Dassera. Gold is also bought on festivals like Onam, Pongal and Durga Puja. But now it seems that the global calendar is also going to make similar occasion for buying gold. Gold has changed with the changing times. The objective of this article is to find out the factors which will boost up the gold price to around Rs32000-35000/gram in Indian markets and internationally above $2100-2200/ounce .I find the next contributor to the price jump might be from RBI. 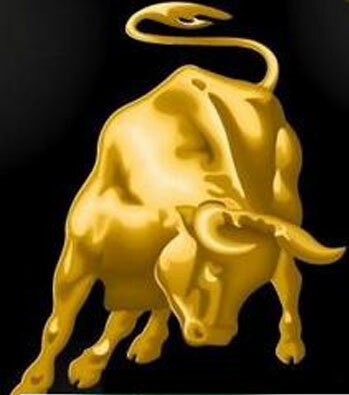 The year 2011 was an impressive year for gold investments and in terms of performance. In volume terms it rose by 0.4% to 4067 tonnes with an value tagged at US $207.5 bn. Investment was the main contributor to gold values other than jewellery and technology drivers. The demand of gold bars and coins has accelerated globally followed with poor performance of other assets classes of investments. Low and negative interest rates in US and European economy is going to boost up the returns and demand of gold prices till 2014.Further gold’s preference to hedge against Inflation will result to an higher demand of gold coming from India China and Vietnam. Global position of gold is also very strong. China needs no introduction regarding its gigantic gold demand. Moreover china is running with high inflation which spooks the demand of gold further in order to hedge against inflation. In fact I find no economy on the earth which has made propaganda to its citizens to invest in gold through all media forms. The reserve of the central banks has swelled by 500 tonnes over the last two years mostly by developing economies like BRIC. Further diversification of foreign reserves; add to the momentum of gold demand by BRIC nations. In other words these nations are trying to capitalize gold as preserving its foreign reserves and promoting financial stability. The ongoing volatile currency market international in domestically increase the demand of gold investments and storage. The below image is the demand chart of gold in tonnes. One of the most enduring strength of gold price is its low correlation with risky assets class. In fact gold is shifting away from its “commodity” phase and into its “safe haven” persona. Gold price is not an bubble.US underperformance and European economic doldrums will give boost to the gold price and demand where as the real threat comes from china since its economic slowdown could cause minor affect of over gold outlook. No yield in US treasuries and bonds gives immense opportunity to invest in gold as an assets class which will increase demand of gold. India is also one of the economy who will invest more in gold rather in foreign reserves.Further gold futures and ETF are also prime contrbutors in the international market of Gold price.The below chart will make the my statment very much clear. The real problem of gold which will spook the price of the metal is the performance of gold exploration companies across the globe. The problem with the exploration companies is that a lot of them will have financing difficulties and they will have to cut down on exploration. The financial turbulence and long gestation period of mining business affects the debt portfolio of the developed nations in this rattled times. They may not get financing at all. If you have 100 exploration companies, 80 to 90 of them could easily be out of business. Every time gold has made one of strongest rally moves, a lengthy period of consolidation and digestion has followed before we have seen new highs. Often these periods last for more than a year. In some cases – if the preceding move has been large – the consolidation has lasted for over 18 months. Hence we should not under estimate gold price movements in the long run. We saw surge in 2011 gold started the year at about $1,420. It sank to $1,309 by late January. It then began an upward move of almost 50% that ended in September at $1,920. It moved 30% alone in the two months from July to September. I find we all have become too much greedy that’s why we are flocking for double growth rather than an slow and steady growth in gold price. As I said in the beginning that Gold in an integral part of Indian culture well the proof of this is that Indian households hold more gold compared to the kitty of RBI. More than 18,000 tonnes of the metal is lying in Indian households. This has also shored up the import of gold of India. India’s Gold’s share in total import bill of the country has gone up from 8.1 per cent in 2001-02 to 9.6 per cent in 2010-11. Annual Rate of Gold Imports growth in the last three years was very high. In 2008-09 the growth was 23.0 percent, in 2009-10 it was 38.1 per cent and in 2010-11 the recorded growth stood at 18.3 per cent. Thus the average rate of growth during this period was 26.8 percent. One of the most astonishing strength of our gold culture is that Indian consumer demand for gold is 37.6 per cent more than that of China. Whereas in terms of GDP, India’s GDP is just 27.7 percent of China and a meager Whereas in terms of GDP, India’s GDP is just 27.7 percent of China and a meager Whereas in terms of GDP, India’s GDP is just 27.7 percent of China and a meager 11.0 percent of USA. -leads automatically to the demand of the gold. The most important point to accentuate is that through E-gold and Gold ETF the investments finally leads to buying of gold from paper format to Hard Gold. Hence these products are the indirect ways of increasing the demand of Gold. The ballooning fiscal deficit will force RBI to buy gold in order to balance the dollar reserves and balance of payments. The Reserve Bank is holding gold reserves of 557.75 tonne valued at USD 27.02 billion, according to the Parliament information. In other words RBI holds 557.75 tonnes of gold as part of foreign exchange reserves. Indian has about $270 billion foreign reserves in dollar terms with the Reserve Bank of India, which is enough to fund imports for the next six to eight months. The recent internal ratings of the Indian economy will spook the problems for the rupee which has already began results the deficit to swell more. Now when RBI will try to print more money it needs to increase its gold reserves to back up the printed money. RBI prints money and currency notes according to demand of cash and there is certain limits. This is depends upon gold reserve at country. To protect the public and guarantee the nation against any bankruptcy, the RBI keeps a certain percentage of gold in their own safe deposit vault, in proportion to the additional currency minted and directed into the circulation. According to the foreign exchanges reserves management operations RBI bought gold from IMF in 2009 and might go for another round of buy. This will enable RBI to increase the circulation of money into the economy which will help to meet to objectives of the Indian economy1) Basel III and 2) Surge is credit growth within the economy. Hence RBI is baffling short of its reserves to pay in dollar terms of the imports. In order to increase pay in dollar terms it will need more money which they will print balance based upon buying gold volume. Keeping the trends in mind international demand and domestic reasons to support gold prices I find Gold prices will rise to Rs.32000-35000/ounce & internationally above $2100-2200/ounce within a 2years time frame. This is not lunatic comment. According to the international economic conditions Central Banks will go for shopping of gold. My longer-term prognosis for gold remains unchanged. Well there is something really to make us feel proud about the Indian gold culture but we need immediate diversification of the investments from gold to other classes. But in between all these us Indian needs to take an different approach. Too much investment in gold portfolio is going to create problems once gold price goes for a deep correction. We need a change in our Indian gold culture. We need to explore ways in which people could be encouraged to deposit these bars and coins with the government to earn an interest income. Since if an part of this gold is deposited through an scheme where the government could lease out some of the gold to jewelers or find other mechanisms by which it could earn returns and that return would in turn be invested in capital for projects the government. Gold prices are just to going to increase since we have opened up so many options of doing investments that’s its value is only going to increase. I have tried my level best to make my readers understand that RBI is not going to play the old tunes of boosting the stock market. Whenever there has been a rate cut we have hoped that RBI is doing the action to boost the market and Indian industrial growth. But every time it did just to adjust its Banks portfolio’s. Well it seems that RBI rates cuts will only help Indian banks to comply the new norms of Basel III. The objective of this article is to present the balance and the affects of the Basel III norms which are being implemented by RBI. I depicted both pros and cons of the new norms and its overall affects on the Indian economy. Before start I would like to make one personal comment from my heart that after going through the norms I find Indian economic growth might be capped for some time. 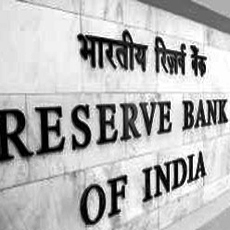 The norms of RBI are tough than the international norms of Basel III. After 31st March 2010 Indian banks will have to adhere to the Basel II norms. India had adopted Basel I guidelines in 1999. Later on in February 2005 gain , the RBI had issued draft guidelines for implementing a New Capital Adequacy Framework, in line with Basel II. The deadline for implementing Basel II, originally set for March 31, 2007, was extended. Foreign banks in India and Indian banks operating abroad will have to adhere to the guidelines by March 31, 2009. Now its time for Basel III. Basel III norms, which will be effective from January 2013 in a phased manner and fully implemented by March 2018.Well the time frame might sound lengthy enough to adopt the norms but its very hard to swallow and chew too. So let us dig what is this Basel III al about and how it will affect the Indian Banking sector. Basel III uses a "three pillars" concept – (1) minimum capital requirements (addressing risk), (2) supervisory review and (3) market discipline – to promote greater stability in the financial system. Lets digg out how all the three above pillars will bring changes in the Indian banking segment. The first concept deals with minimum capital requirements under Basel III followed with analysis. • According to the guidelines, which will be effective from January 1, 2013, banks will have to maintain their total capital ratio at 9%, higher than the minimum recommended requirement of 8% under the Basel III norms. Capital ratio is the percentage of a bank’s capital to its risk-weighted assets.The risk consists of interest rate risk in the banking book, foreign exchange risk, liquidity risk, business cycle risk, reputation risk, strategic risk. • The norms also require banks to maintain Tier I capital at 7% of risk weighted assets. Tier I capital, or core capital, includes a bank’s equity capital and disclosed reserves. • In other words it can be described as the minimum amount of capital a Bank should maintain to cover its various business risks. This might affect the credit growth of banks since in first place Indian Banks are basically born skeptical which also acts as a boon in times of crisis. Banks will have to increase their margins for providing loans and moreover may reduce the rate of percentage of sanctions they make in usual conditions. • Basel III also introduces additional capital buffers, (i) a mandatory capital conservation buffer of 2.5% and (ii) a discretionary countercyclical buffer, which allows national regulators to require up to another 2.5% of capital during periods of high credit growth. • Tier I capital consists of common stock, retained earnings and some forms of preferred stock, besides instruments with characteristics of both equity and debt. Basel III norms force banks to eliminate most of these calculations and arrive at a pure equity-based calculation of tier I capital—an issue that is hotly debated by global banks. • The Indian regulator has been more stringent. For Indian banks, common equity should be at least 5.5% of the asset base, whereas the international norm suggests 4.5%. • Under Basel II, Indian banks need to maintain tier I capital of 6%, which rises to 7% under Basel III. Under Basel III, several instruments, including some that have the characteristics of debt, cannot be included for arriving at tier I capital. The other pillar of Basell III is supervisory review & enhanced disclosure norms. Banks have been given the power by which they will not only maintain the minimum capital requirements but will also be able to have a process by which they can assess their capital adequacy themselves. This process, and its assessment by the supervisory authority, is central to the second pillar of the Basel II Accord. This also ensures that banks will be able to make arrangements to ensure that they hold enough capital to cover all their risks. The prime responsibility will lie on the PSU banks to compile with the norms. • This review process will provide benefits when another financial crisis will hit in the future. We should not forget that when the US banks were getting sold out the Indian Banking segments stood still as if nothing has happened. That’s why we can go off to sleep when our prime wealth is being safely preserved in the Indian banks. It works in this frame work shown below. • The last but the most important one of Basel III is market discipline. • The recent financial crisis in US and the bailouts of the Century old Banks have raised the voice of market discipline. This is one of the most important pillar of any financial process. • To achieve increased transparency through expanded disclosure requirements for banks. • This will make sure that the banks are well positioned to handle the complex business process. • This will bring transparency in the process followed with adequate updating to the banking regulators on the involved process of the various banks in dealing complex products. Well the above regulatory aspects seems to protect the Indian Banking system from any fragile collapse but the real tough game will be to adopt with the capital requirements to cushion up the Banking system. According to the above capital adequacy its is being found that Banks in India may need at least $30 billion (around Rs. 1.6 trillion today) as capital over the next six years to comply with the norms. Well this funding seems to be difficult to maintain since Indian economy needs Banking support to develop industrial growth. 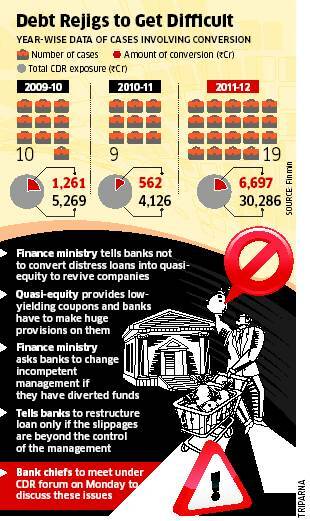 In order to maintain these requirements Indian PSU banks might go for stringent loans and funding disbursement. Moreover its is well predicted now that whatever rate cut will come from the womb of RBI will only help banks to comply the norms rather than providing funds for Indian economic growth. This Basel III might create a reverse impact on the Indian economic growth at present times. Private Banks are well capitalized in terms of the Basel III norms. I fear personally that will this norms will bring slowdown in Indian economic growth. The real problem will begin with PSU banks of India. Under the new norms Indian banks will be very stringent in disbursement of loans and will be very hard on the foul players who cheat the banking system. Under the new norms for every 1% increase in gross NPAs (non-performing assets), the banking system would require additional capital of Rs 25,000 crore. Hence one can understand clearly that how hard banks will go over the foul players on loan defaulters.This will reduce the NPA of the banks but also many sectors of indian eocnomy will be affected where NPA are galopping like Power sector is among the top of the list. In my previous articles I have told clearly that RBI actions are no longer focused towards boosting loan restructure and refinancing activities. RBI actions are well tuned keeping the global uncertainty outlook which is stretched over the next decade. Europe and U.S economic turbulence has forced RBI to take steps and measures which might seem as destructive for Indian economy but later on in the long run its will prove to be beneficial for Indian economic growth.One must not forget that all our savings are parked with the Banks. If Indian banks play like US and European banks where corporate restructuring of debt portfolio is being carried out then all our savings will be wiped out. Hence we don’t want any such type of play being adopted by Indian banks. But every time when RBI reduced the interest rates we wanted corporate structuring which will lead to economic boost of India. Well do you want economic boost at the cost of the foul plays of the Indian corporate. Choices are always yours. So over all it can be concluded that with the advent of Basel III, banks with a risk appetite, i.e. high risk - high return lending strategy or lending without proper appraisal merely to generate additional business will find the going tough. Moreover Indian economy is going to face some tough times way ahead due to compilation of these norms which is spread over the years. I fear personally that will this norms will bring slowdown in Indian economic growth. We believe that such business models, which take disproportionately high risks, will not survive. The business models, which should survive, will be where risks are within acceptance levels for the banks backed by adequate returns.The game of NPA is about to get over for indian banks.